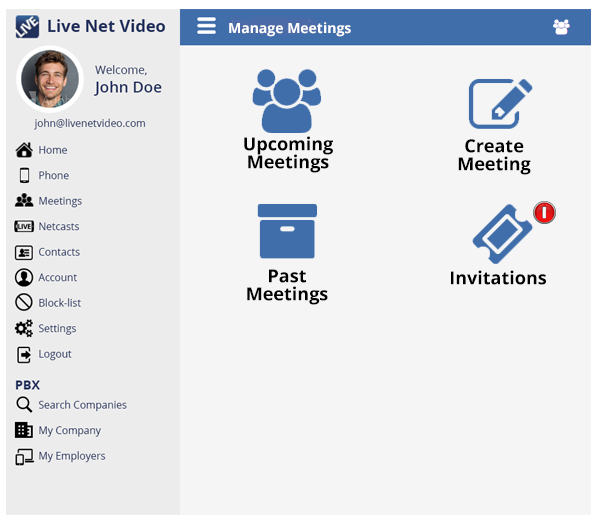 From the Meetings Dashboard, click on the Invitations Button. The Invitations List will be displayed. The Invitations screen list opens. The list shows the meeting attendees that have been invited. 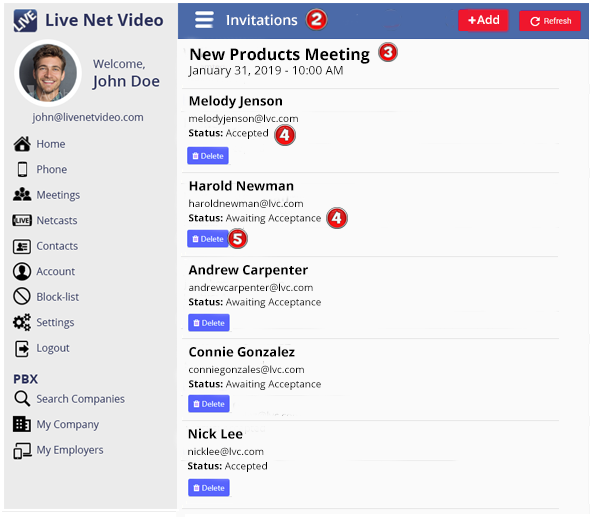 The list displays the status of each attendee, whether or not they have accepted the invitation or you’re still waiting acceptance for their attendance to the meeting. If you want to delete the Attendee, click the Delete Button for the specific Attendee.